The name “YACONTO” was initially a trademark of Integrated Cooperative “Continent-Olymp" and was formed by the method of abbreviation: YA - Yakunin, CONT - Continent, O - Olymp. The trademark “YACONTO” (in Russian) has been registered by the USSR State Committee for Inventions and Discoveries (Certificate №86903 from 28.04.1989); the trademark “YACONTO” (in English) was registered on the USSR State Committee for Inventions and Discoveries (Certificate №86904 from 28.04.1989). Since 09.01.1991, the trademark “YACONTO” became a name of Small enterprise Firm YACONTO and its affiliates and, consecutively, YACONTO LLC. 1988–1991 – Integrated Cooperative "Continent-Olymp"
Integrated Cooperative “Continent-Olymp” (USSR, Moscow), established in 1988 as a result of successful marketing research of consumer goods and services in Soviet Union, was the predecessor of YACONTO companies and their affiliates. The bulk of the profits from production and business activities were not withdrawn from the revenue, which allowed the co-op to quickly build up its working capital which was being invested into research & development and trading activities. One of many examples of such activities was a mass production of inner liners for upper ball joints of "VAZ" cars, started in 1990. The inner liners were produced of extra high durability plastic, capable of withstanding very high temperatures for South and very low temperatures for North, which was very important in Russia's climatic conditions. Those inner liners restored operation of the upper ball joints, which were in permanent operation, and extended their efficiency in automobiles for another 250,000 kilometers. Due to the unparalleled performance and low selling price, the product was poopular with millions of consumers, was very much in demand and brought high profits to the company. Since the very start of business operations, YACONTO companies were aimed at direct involvement in the development of Russian industry, agriculture and science. Mass production of garments, plastic products, household multi-operational woodworking machines, induction motors, electrical products and other goods. This all happened at a time when economic and political crises were raging in the country. Significantly increasing the volume of production of mass consumption and expanding its range, YACONTO companies and their affiliates very efficiently spent their earnings on: purchasing own industrial equipment of their own, in order to create modern industrial facilities; investing in scientific and technical research & development and design documentation for new promising civilian goods. Another example of activities of Integrated Cooperative “Continent-Olymp” and YACONTO companies was the mass production of multi-program woodworking machines for households, and in particular, creation and production of a multi-purpose 16-program woodworking machine model YACONTO DK-1, which used only one induction motor. The volume of production of woodworking machines did not even remotely satisfy the colossal demand. Marketing researches have shown that the size of USSR consumer market of woodworking machines for households was 2.7 million units, production of which has been wholly dependent on the production of domestic induction motors. The demand for YACONTO DK-1 machines was extremely high. YACONTO began receiving numerous requests coming from trading enterprises, organizations, departments and agencies from all regions of the USSR and then Russia for the purchase of machine tools in large lots. 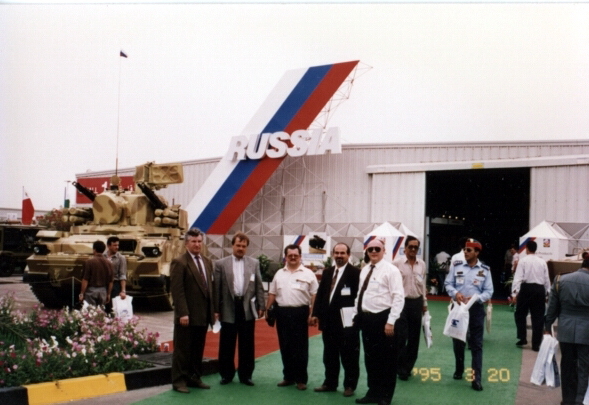 Major defense enterprises were involved in the production of high durability parts for woodworking machines – for example, the Moscow Aviation Production Association named after P.V. Dementyev, an enterprise which produced MiG jet fighters. In 1991, when the whole country, and agriculture in particular, experienced a severe economic crisis, Firm YACONTO SE agreed to the suggestion of officials to participate in the creation and organization of mass production of Biomass Power Generating Units (BEU – biomass energy units) in Russia to address environmental, energy, agro-chemical and socio-economic problems in the agriculture of the country. BEU were to be deployed to agricultural enterprises to speed up processing of livestock and poultry waste into an environmentally friendly fertilizer and biogas, using the latter as a source of energy and heat. Leading experts and designers from Salyut Design Bureau of Khrunichev State Research and Production Space Center (Moscow) and scientists from Institute of Biochemistry named after A.N. Bach of the Russian Academy of Sciences (Moscow) were actively involved in the research and development of the promising BEU. By early 1993, a modern product based on high-end science and advanced technology was created. In late 1992, Russian company YACONTO was fully capable of purchasing more than 1.5 million privatization vouchers without any difficulty, and could have used these vouchers to buy an entire sector of Russia’s economy which was sold for a pittance. However, instead they preferred spending their earned money on massive quantities of industrial equipment for mass production of civilian goods which were in high demand in the consumer markets in Russia and abroad, investing in research and development, design documentation for the creation of new products, etc. Therefore, only a small portion of financial assets was used to purchase large shares of industrial and other enterprises at voucher auctions. Sergey P. Yakunin with a model of a BEU (1994). In early 1994, Firm YACONTO LLP spent own money generated by its activities to purchase large shares of two industrial enterprises located in Volgodonsk city of Rostov region – Russia’s nuclear engineering flagship Atommash OJSC and a defense enterprise “Volgodonsk plant of radio-electronic equipment” OJSC (renamed into Salut JSC in 1996). Unfortunately, the production of their main profile they manufactured in USSR was not in demand in Russia due to unreasoned reforms in economy and politics. In this regard, YACONTO companies developed promising long-term programs of economical development of Atommash OJSC and Salut JSC, defined new scope of civilian goods to be produced, which were in high demand in Russia and external markets, and took part in establishing the production. Industrial colossus Atommash OJSC is a truly unique asset. Its areas covered around 6 million square meters. Most equipment on Atommash was imported, purchased from concerns like Italimpianti, ESAB, Varian, Mannesmann AG and others. The quality of items produced by Atommash has been confirmed by an international certificate issued by ASME (American Society of Mechanical Engineers). More information about Atommash OJSC can be found here or in this Wikipedia article. In 1995 a subdivision of YACONTO Corporation was opened in one of the leading countries of the Persian Gulf. The unit’s tasks included conducting market research and establishing contacts with business and political circles of the Middle East in order to ensure their long-term and mutually beneficial cooperation with Atommash OJSC, with YACONTO companies and their affiliated entities. The program of YACONTO assumed participation of Atommash in co-production of advanced technology equipment for large regional industrial, transport and energy facilities, including desalination plants, oil and gas production and processing enterprises, with equity participation in profit sharing from sales of the finished product. Moreover, Russia and the countries of the Middle East could have set agreed prices for hydrocarbons and derived products on world markets. This opened up great opportunities for Russian companies and their western partners to participate in major long-term programs aimed at economic collaboration with countries of the Middle East in cooperation with Atommash OJSC. In 1995 – 1997 YACONTO companies could (under tough competition on the world market) guarantee signing and fulfillment of orders (contracts) with these countries for the production of high-tech equipment worth at least $15 Bln (fifteen billion U.S. dollars), corresponding to approximately $72 Bln (seventy-two billion U.S. dollars) at the beginning of 2009 with an inflation factor of 4.8. On top of that, YACONTO Corporation had real opportunities to operate as an official intermediary in the sale of military equipment. From one side, some Russian defense enterprises offered to supply any required quantities of military equipment through YACONTO companies. From the other side, the subdivision of YACONTO in the Middle East received large orders for the purchase of military equipment, including armored personnel transporters, infantry fighting vehicles, anti-aircraft weapons, tanks, aircraft, helicopters, ships, submarines, missile systems, small arms, ammunition, military uniform and equipment, etc. The volume of actual orders was so great that they could meet the needs of armed forces of Asia, Africa and the Middle East. But due to the irresponsibility and improper conduct of the functionaries of Rosoboronexport, YACONTO companies, having no desire to be deceived in the role of a mediator, were forced to abandon the contracts profitable for Russia itself. On confidential agreements with authorized representatives of the Russian Federal Space Agency (RSA) from 1995 to 1997, Firm YACONTO LLP and consecutively Concern YACONTO JSC focused efforts on the selection of the most effective platform for the construction of a new international Space Launch Complex (SLC) near the equator. One of the “relevant parties” interested in this large-scale collaboration, offered to YACONTO Corporation a choice of areas for the promising new SLC, which are geographically and economically more beneficial than the existing launch pad in Baikonur in Kazakhstan. According to calculations, same launch vehicles would be able to carry 2.4 times more cargo to the orbit from the new SLC rather than from Baikonur, thus increasing payload greatly. All expenses for the work on space related topics in the Middle East were covered solely by YACONTO enterprises. A new international SLC could have given not only tremendous economic and political, but also military and strategic benefits to all parties of this ambitious Program. Countries of Middle East were, and still are capable of providing complete funding for the construction of the new SLC with the respective infrastructure. YACONTO Program assumed engaging Atommash OJSC and its partners for the creation of large-size and bulky high-tech equipment and metallic constructions. Implementation of promising large-scale International projects and programs with the involvement of countries of the Middle East would have contributed to the development of the world economy, science, culture and human civilization in general, as well as the peaceful settlement of the Arab-Israeli conflict. But the intentional bankruptcy of Atommash disrupted the implementation of YACONTO Space Program. YACONTO LLC is currently preparing to implement the large-scale multidisciplinary YACONTO International Program, which consists of some very promising projects and programs. More information about the Program can be found here. YACONTO LLC has also developed the Project-A to restore the status quo of Atommash OJSC (Volgodonsk, Rostov region), which used to be the flagship of Russian nuclear industry and was intentionally bankrupted by an organized group of interested officials who acted in the interests of their monopoly business partners. Concern YACONTO JSC (Russia, Moscow) owned a 28.5% stake in Atommash OJSC, hence, as a result of the bankruptcy of the Russian industrial giant, both the state (which owned a 30% stake) and Concern YACONTO JSC (the full successor of which is YACONTO LLC) were illegally deprived of their property. Implementation of Project-A will provide a successful solution of problems and challenges faced by Russia in the interests of the state, society and business. Implementation of Project-A will restore the status quo of Atommash OJSC and bring back 30% of its shares to the State; all perpetrators will compensate for the damage caused to the aggrieved party in Russia and abroad; the State will accumulate the controlling stake in Atommash OJSC by exchanging the 28.5% interest owned by YACONTO LLC for property agreed with investors and business partners; accounts payable to the third parties will be repaid; the interest in Atommash OJSC accumulated by the State and other assets may be transferred to an appropriate trust authorized by the State to develop nuclear engineering and implement socio-economic programs for the benefit of Russia and the West. More information and documents about the activities of YACONTO LLC can be found on www.yaconto.ru.